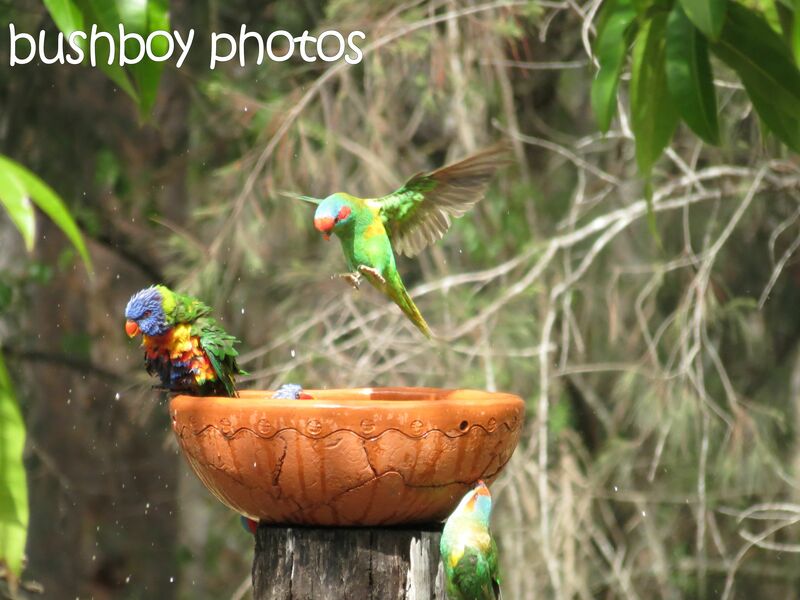 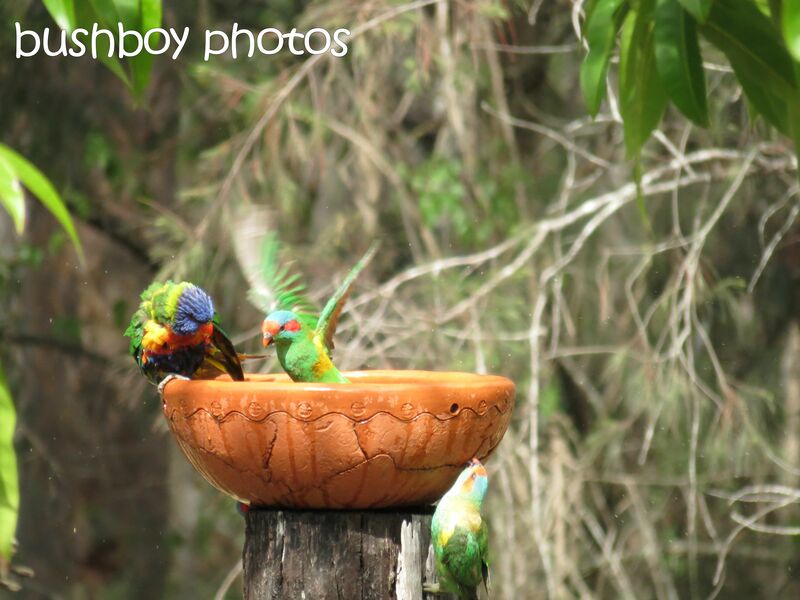 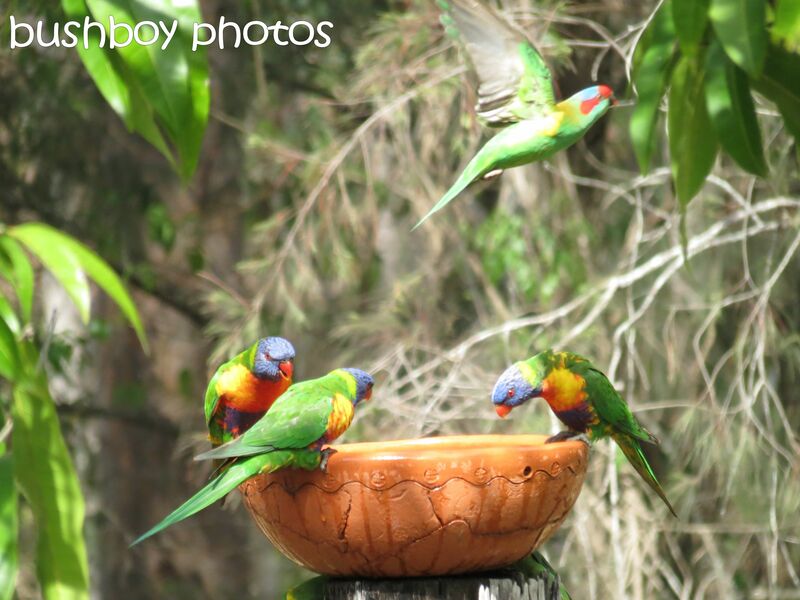 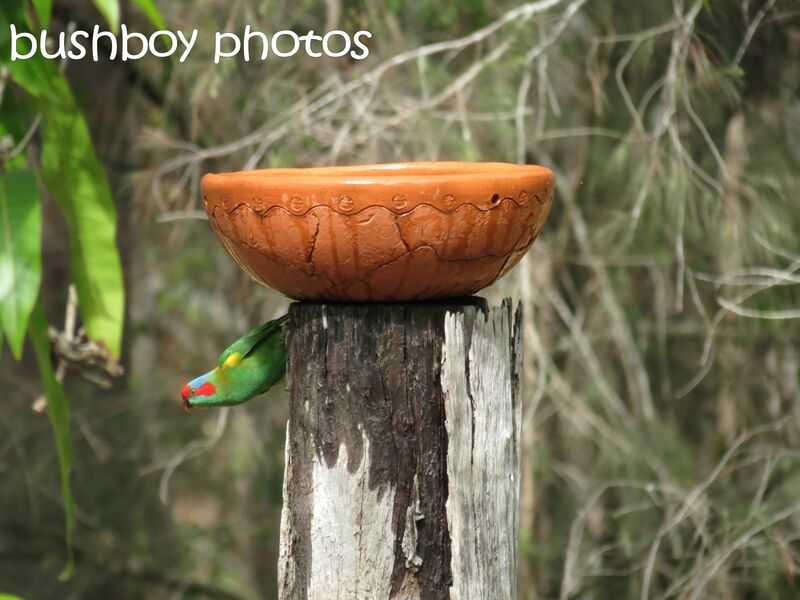 The bird bath has been the domain of the Rainbow Lorikeets as you may have read in the last blog. 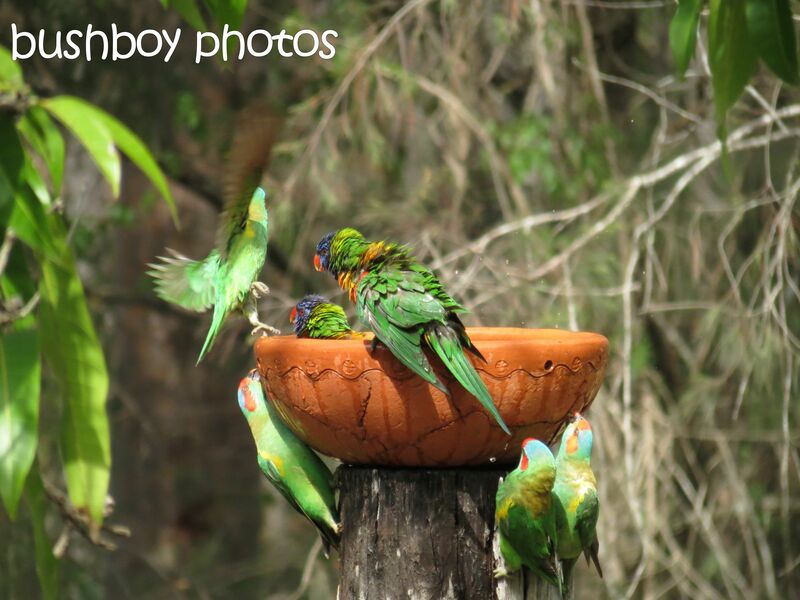 Today the Rainbow Lorikeets were under siege by some new comers, Musk Lorikeets. 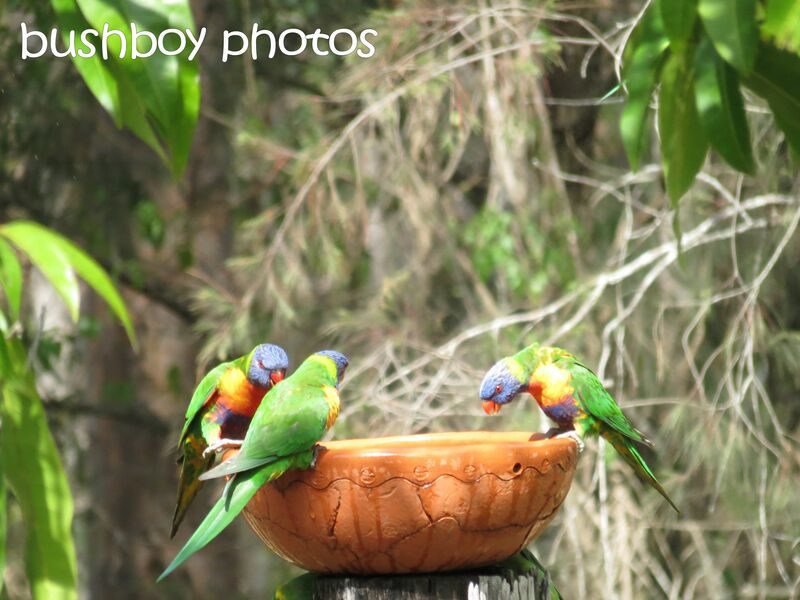 This is the first time I have seen them here. 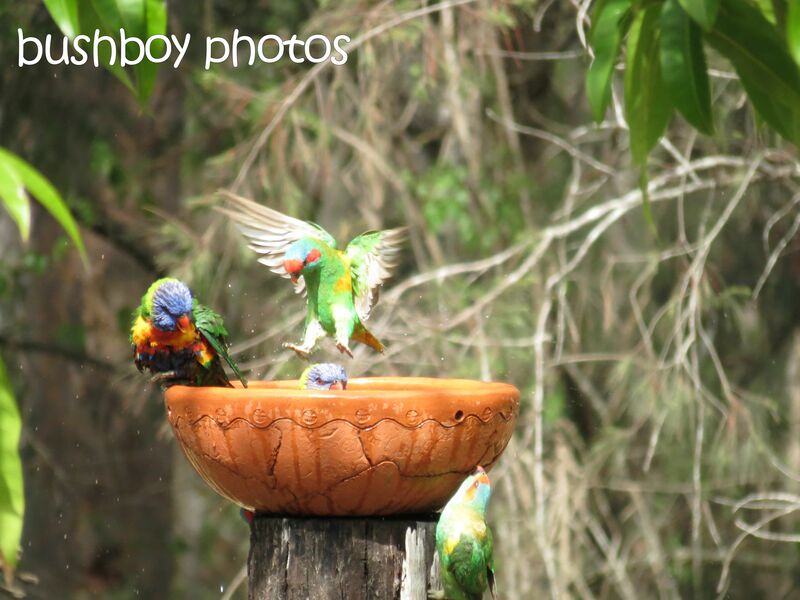 The Rainbow Lorikeets didn’t take their presence at the bird bath very well this morning. 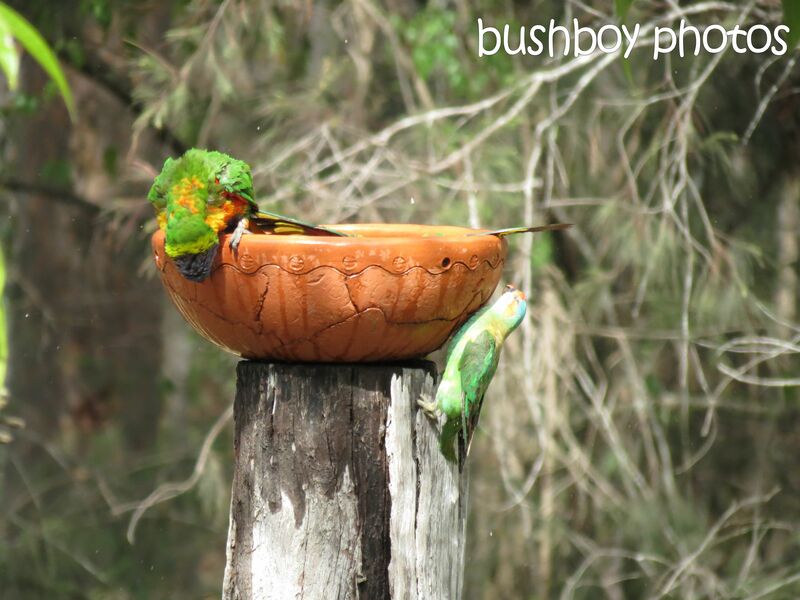 This is how the morning went…..
I’ve never seen musk parrots before, aren’t they pretty. 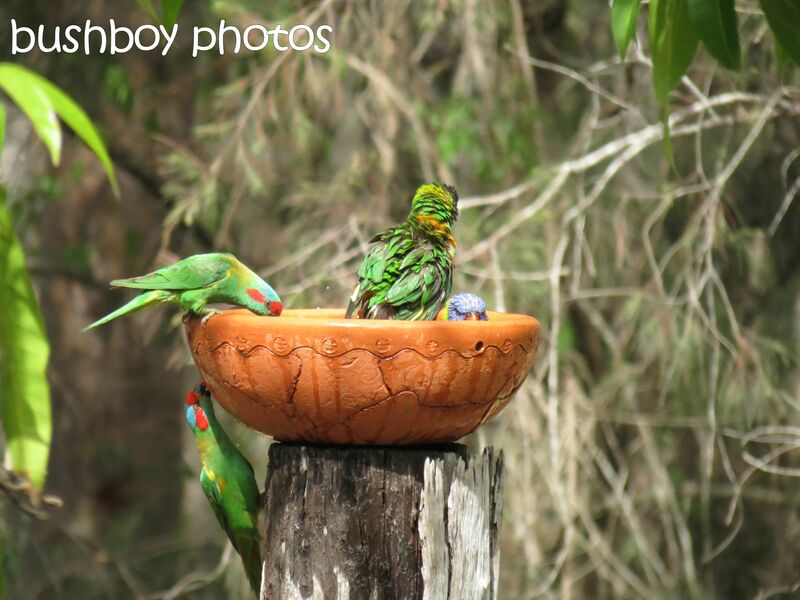 It looks like you are having plenty of bird action around there. 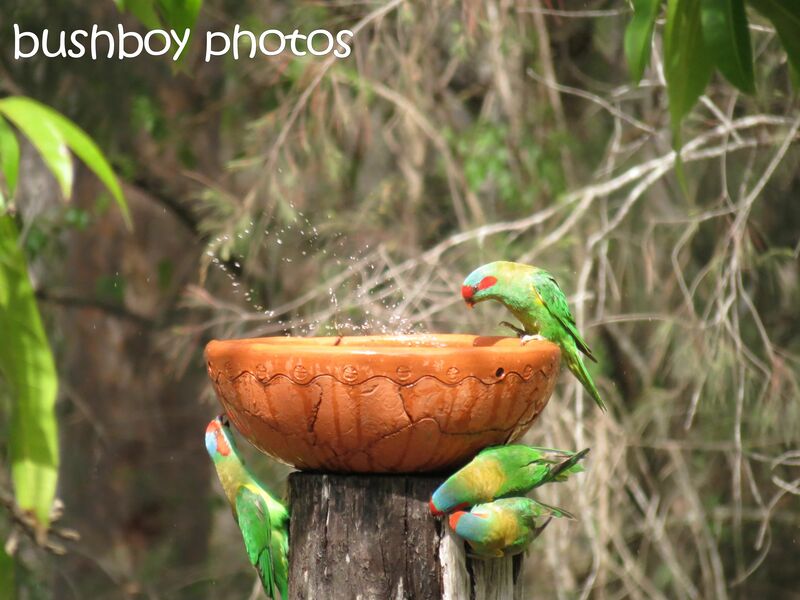 I am waiting for the rains to come as there are always more birds when it’s a bit wet. 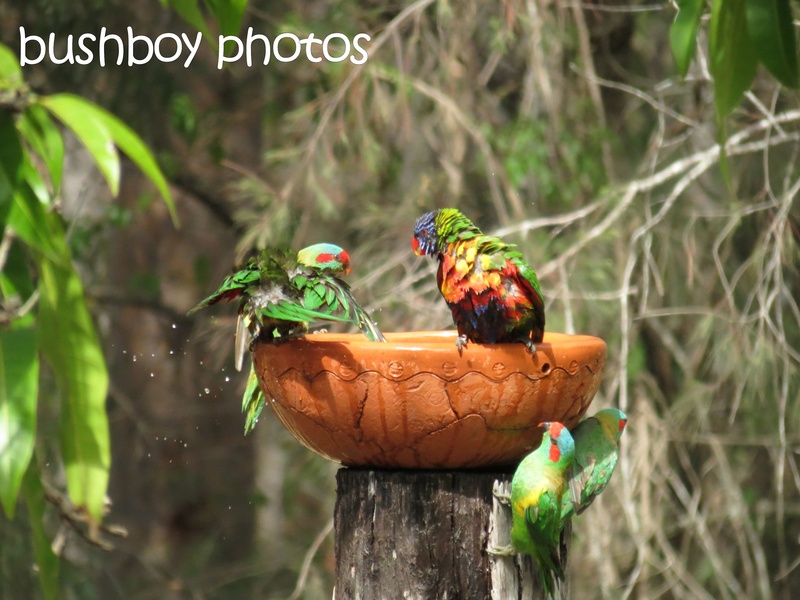 Just putting up a bird bath attracts lots of birds and you can see them a bit easier. 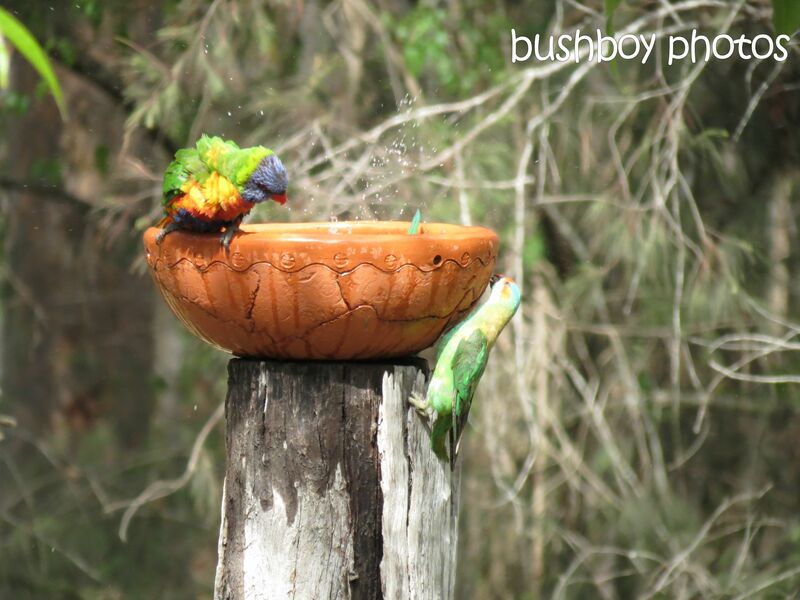 I hope to see a lot more use it but I have a number of water points around the garden so they do have a choice.